By now, you have all had a chance to look over the hundreds of pictures of the new BlackBerry/TCL device, codenamed Mercury. 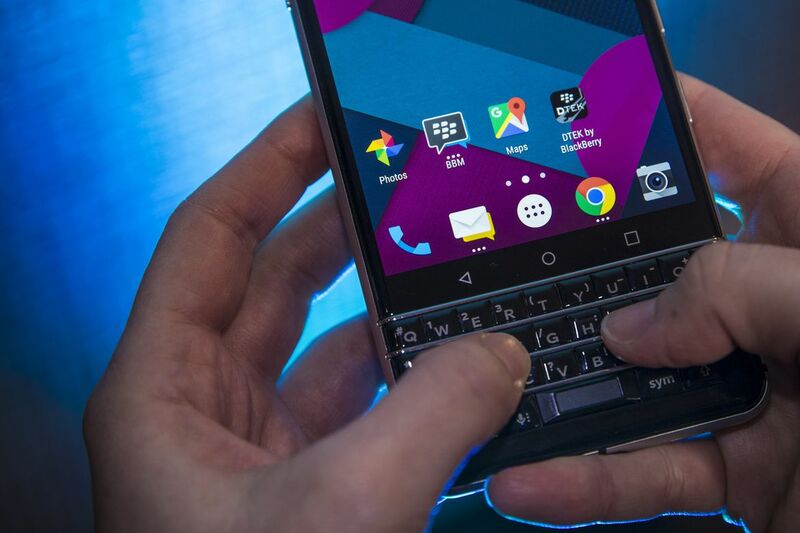 The first in what promises to be a series of devices, BlackBerry and its partner TCL have created what can only be described as the marriage of two iconic features - the famous, classic BlackBerry keyboard and apps with the almighty Android operating system. Is the best of both worlds? Let's consider. That's not to say that the Mercury isn't a modern device - it certainly is. Whether it comes built with the latest Snapdragon processor or something better, it will be a modern device for modern needs. Long gone are the days of battery pulls or the three-finger salute: this is a brand-new take on a proven idea. Physical keyboard devices have been with us since, well, the beginning of keyboards, and although the market for physical keyboard mobile devices is smaller than a single brick in a high-rise building, it's a very important and necessary brick. TCL clearly see that, and has brought us their best take on the classic BlackBerry keyboard mated to a typical Android slab. One of the things I like best about the Mercury is that capacitive keyboard: it's easily the best piece of technology that BlackBerry has brought to market since the trackwheel. Being able to scroll through apps or navigate a page without lifting your thumbs from the keyboard is a small but really important innovation. Speaking of thumbs, one of the things I like least about the Mercury is the fingerprint scanner. I know many of you will disagree, but I find biometrics to be a tricky area of technology that isn't ready for the consumer market. Just last week, we read the story of a girl who used her mother's fingerprint to open her mother's iPhone and go on a shopping spree. It's a technology that needs to be secured and improved - perhaps BlackBerry is the company to do it. I asked your BlackBerryOS bloggers what they thought: they provided some good insight. First, in a sea of me-too Android devices, the Mercury stands out. That's a good thing. We would liked to see the track pad make a comeback, but that's highly unlikely. Shawn reminded us that this is the first BlackBerry/TCL devices that isn't a badge-engineered Alcatel. Again, all good things. How about you? Do you like the Mercury concept? Hate it? Sound off in the comments.